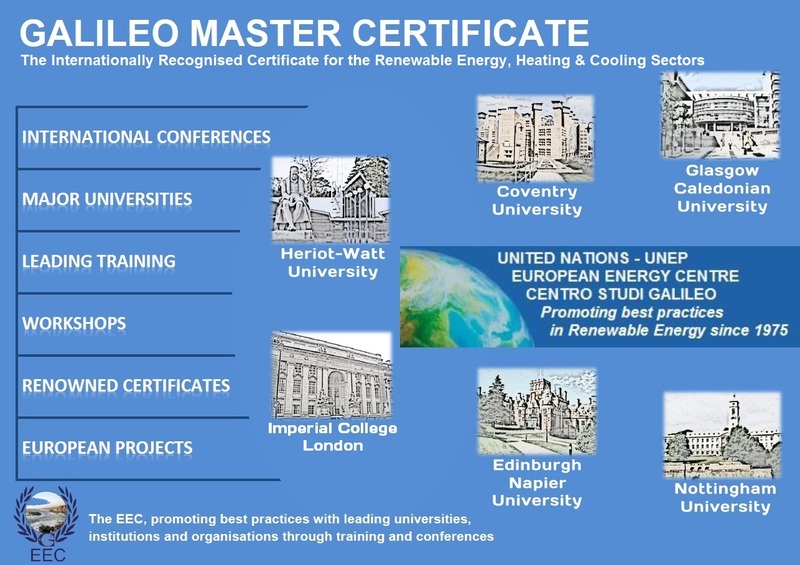 "Promoting knowledge-sharing and best practice in Renewable Energy and Energy Efficiency with leading universities and the United Nations (UNEP) through professional Training Courses, Qualifications, Conferences, Publications, European Projects, Global Partnerships, Membership Programmes and the Internationally Recognised Galileo Master Certificate." The EEC Accredited Centre is an Independent Professional Body and trains around 5000 individuals a year in over 300 training courses at 21 universities across Europe. The European Energy Centre organises leading Conferences, Summits and Round Tables, with the support of European Governments and in partnership with the United Nations (UNEP) and the intergovernmental IIR, on the latest technologies in renewable energy and energy efficiency across Europe and internationally. 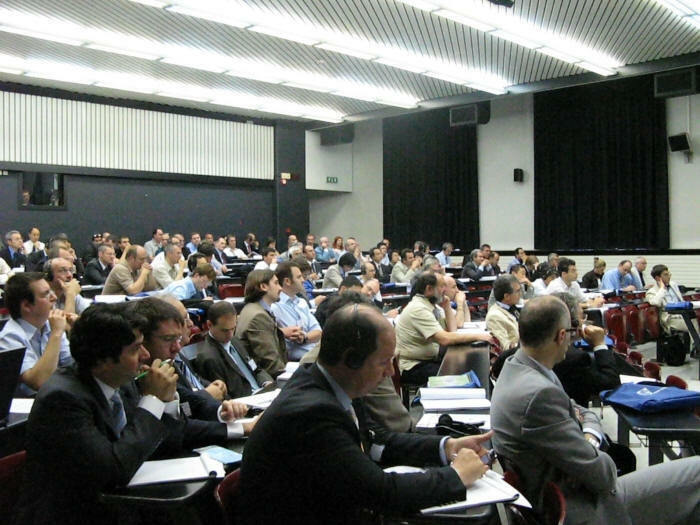 Participants of the Summits include leading researchers, authorities from universities, Members of the European Parliament, European Commission, Greenpeace, Presidents of leading organisations and intergovernmental Institutes such as the IIR, the American ASHRAE, AHARI, the Chinese CAR, the European Partnership for Energy and the Environment and AREA which represents 130,000 professionals working in the sector. We bring together leading experts and researchers to share knowledge and ideas over a stimulating programme of events and activities. The EEC works with the United Nations UNEP to produce a series of publications and articles detailing and disseminating the latest technical innovations on renewable energy and energy efficiency to professionals across the world. 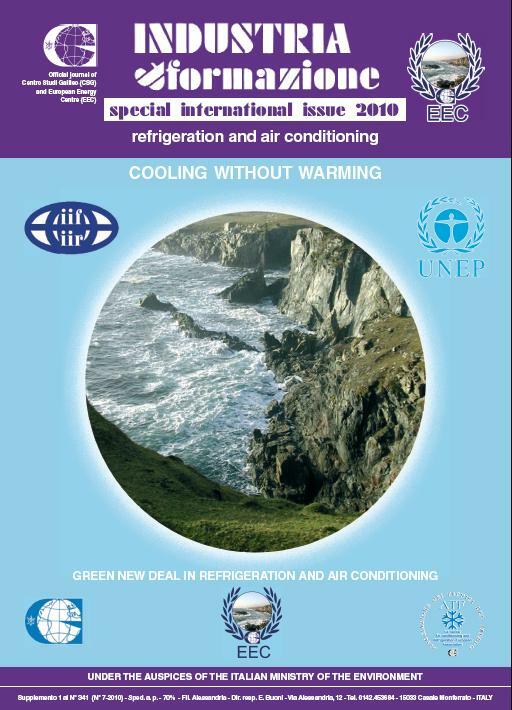 The official technical journal of the EEC is Energy Learning – a leading journal launched to run parallel to the International Special Issue (ISI), published in print by the EEC Accredited Centre and the United Nations UNEP. Recent research carried out by the European Energy Centre (EEC) showcased the increasing importance for energy professionals to keep up to date with the latest technology, innovation, networking and recognition with the sector. 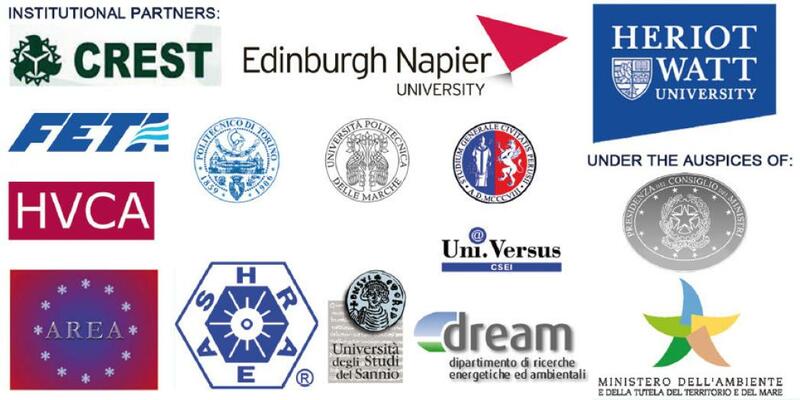 The EEC has always been a centre for international partnerships with government organisations, universities, research institutes and the industry. The EEC is always keen to expand this network further to disseminate knowledge and education in renewable energy and energy efficiency throughout local communities worldwide. For more information regarding our activities, training courses, conferences, qualifications or the latest news and information on Renewable Energy contact us using our contact form. The Office of Global Change (OES/EGC) works on a broad range of international climate change issues, under the guidance of the Special Envoy for Climate Change. The United States is taking a leading role by advancing an ever-expanding suite of measures at home and abroad. The President’s Climate Action Plan highlights unprecedented efforts by the United States to reduce carbon pollution, promote clean sources of energy that create jobs, protect communities from the impacts of climate change, and work with partners to lead international climate change efforts. The working partnerships the United States has created or strengthened with other major economies has reinforced the importance of results-driven action both internationally and domestically and are achieving measurable impacts now to help countries reduce their long-term greenhouse gas emissions. The Islamic Foundation for Ecology and Environmental Sciences (IFEES) is a multi-dimensional organisation. From tentative beginnings in the mid 1980’s we have earned an international reputation as leaders in developing a specifically Islamic approach to environmental protection and natural resource management. The development of a knowledge base and sharing this knowledge by producing educational material. The development of training programmes based on this knowledge. Developing projects on the ground based on this knowledge. The development of networks dedicated to this work. Sharing this knowledge in seminars, conferences and other public fora. The dissemination of this work through the use of media, information technology and other available channels.